Hans Kniebes beard and moustache hair scissors are an ideal grooming tool for the discerning gent who values the ultimate quality. 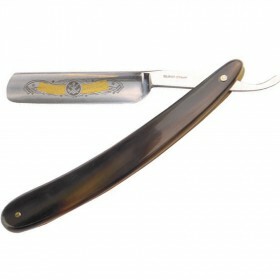 Made in Solingen Germany, world's hub of the highest and durable quality products, straight blades grab and trim your beard and moustache hairs accurately and without any pulling. Manually adjusted screw allows very smooth use. 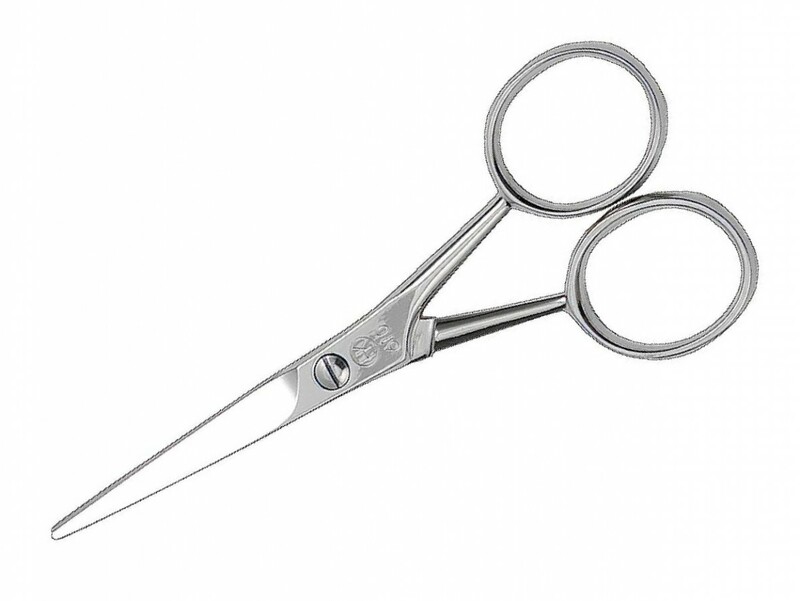 Hans Kniebes scissors offer you hassle free beard and moustache styling with maximum precision. Hans Kniebes scissors for beard and moustache grooming add a German slant to men's personal care. 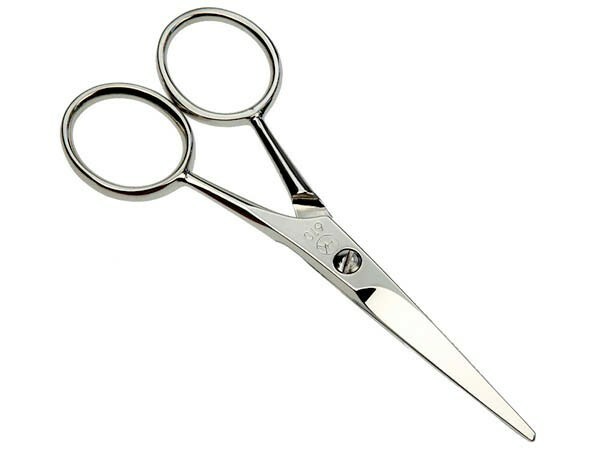 Made of fine nickel-plated steel, the scissors feature safe grinding of sharp edges that grasp hairs easily and cut evenly. 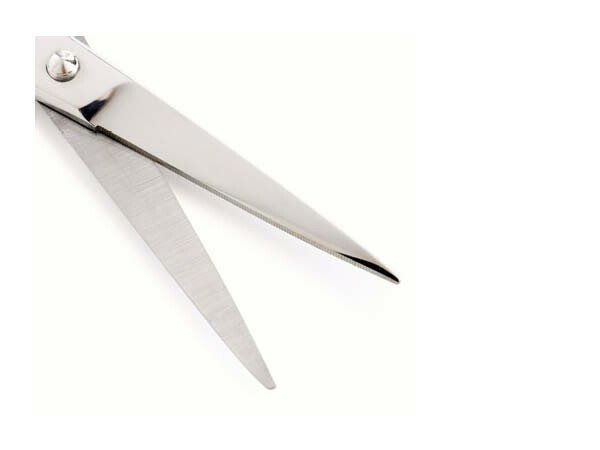 Micro-serrated straight blades hold hairs firmly and prevent from slipping during cutting. 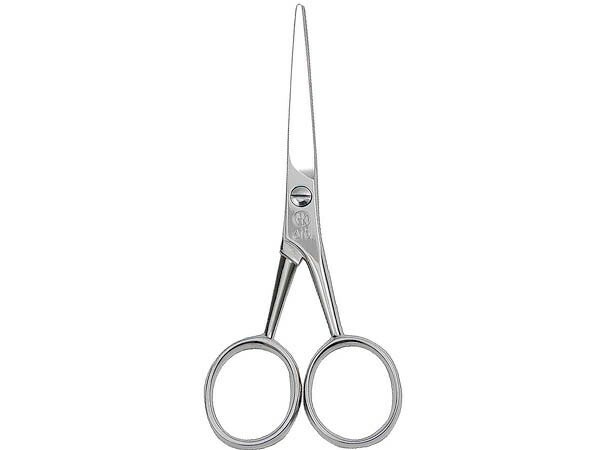 Hans Kniebes precise scissors create an accurate cut to your desired length - and can easily cut single hairs on beard, moustache, goatee or eyebrows. Take care and don't use them to cut hairs in your nose and ears though. Use specially designed nose and ear scissors by Niegeloh which feature rounded safety tips, to avoid any injury on sensitive skin. Beard & moustache scissors are crafted by Hans Kniebes in Solingen Germany, world-renown for ultimate quality knives that cut through the years with impeccable durability of the cutting edge. 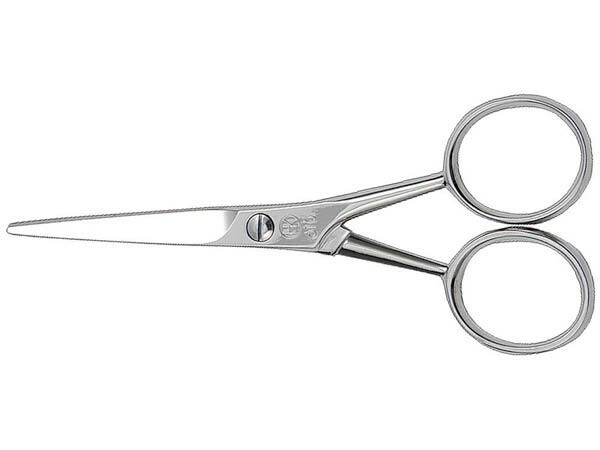 So too Hans Kniebes guarantees lifetime performance of their scissors and offers an excellent grooming tool for beard care. Since its foundation in 1926, Hans Kniebes (Germany) have been producing the finest quality personal care products and top-end leather goods. By using traditional German craftsmanship and state-of-the-art manufacturing techniques, Hans Kniebes brand is known for excellent quality, winning design and impressively lasting performance.